Membership in DSBA has its privileges. 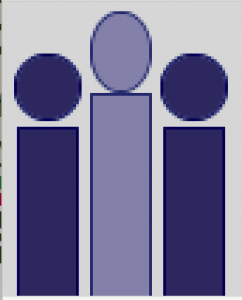 Many of our members find that the price of membership is more than returned to them in the form of the excellent connections they make within their sections, the high-quality continuing legal education, the numerous benefits including free legal research and the discounts that only members enjoy. And, they know that if they call DSBA, we’ll help them with anything we can. Free legal research is now available to all dsba members! In the most recent Clio Legal Research Survey users rated Fastcase as good or better than Westlaw or Lexis. It was a statistical tie, with Fastcase edging out Lexis and just a hair behind Westlaw, both of which cost you a whole lot more than DSBA membership dues. More than half of the state bar associations in the U.S. are now offering this Fastcase’s free legal research as a member benefit. The company is now 18 years old and has millions of satisfied users. Fastcase has a free app which has been critically acclaimed by the American Bar Association (naming it the best legal research app). If you are a member of DSBA, all this is offered to you through your membership, free of charge. As you know, this will save you thousands of dollars for each attorney in your firm. 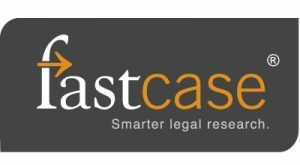 To access Fastcase, please click here (member login required). We are delighted to invite you to trial the DSBA Newsstand, a collaborative initiative that delivers a tailored newsfeed to DSBA members. The DSBA Newsstand is a new member benefit that enables us to get timely updates from around the US and the world about subjects that matter to your practice. We strongly encourage you to give this a try as we think you will find it extremely helpful. Newsstand is powered by innovative newsfeed service Lexology, which utilizes its global legal knowledge base to deliver essential know-how and market intelligence in concise digestible form to keep you informed across legal issues in your area. Please activate your account with Lexology to select the work areas and/or jurisdictions you would like to be kept up to date on. Please note: You will not receive any emails from Lexology until you activate your account. You are free to change your settings (which include receiving the newsfeed weekly instead of daily) or cancel your subscription at any time. Your personal details will remain confidential at all times. Click – HERE to activate your free account. 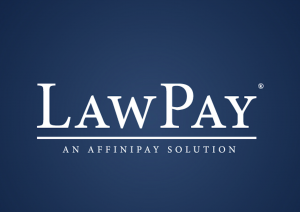 LawPay is the proven payment solution for attorneys. Recommended by 46 state bar associations and used by more than 35,000 law firms, LawPay offers a simple, secure solution for accepting credit cards online. Designed specifically to meet the compliance and financial requirements of the legal industry, LawPay correctly separates earned and unearned fees, so you can rest assured that your transactions are always handled correctly. LawPay is proud to partner with the Delaware State Bar. To learn more or to get started, call (866) 376-0950 or please click here (member login required). 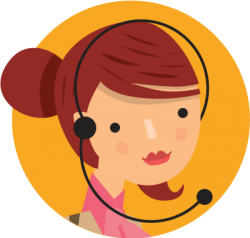 Ruby® Receptionists is the only live virtual receptionist service dedicated to creating real, meaningful connections with callers—building trust and helping you win business. Delight your English and Spanish-speaking callers at a fraction of the cost of an onsite receptionist. Plus, as a member of the Delaware State Bar Association you’ll receive a lifetime 5% discount off your monthly plan! Please click here (member login required). MyCase is an affordable, intuitive and powerful legal case management software designed for the modern law firm. Give your law firm the advantage of a complete case management software solution – get organized with contacts, calendars, cases, documents, time tracking, and billing. MyCase also includes a first of its kind integrated client portal so everyone stays informed and connected. Delaware State Bar members get a 10% lifetime discount. Start your free trial today! To access MyCase, please click here (member login required). As members of DSBA, you have access to exclusive discounts through Office Depot and OfficeMax! Save up to 80% on thousands of eligible items. This benefit is great for purchases of cleaning, breakroom, school and office supplies, and can be used for both business and personal purchases. Discounts apply both in-store and online. Print your free in-store discount card at officediscounts.org/dsba, or create an account online to access our lowest prices—no promotion code needed! Online orders of over $50 receive free shipping (excludes furniture). Through a collaboration between DSBA and Drexel University Online, you and your immediate family members can now earn a top-ranked degree or certificate and receive special tuition rates when you enroll in one of Drexel’s distinguished online programs. 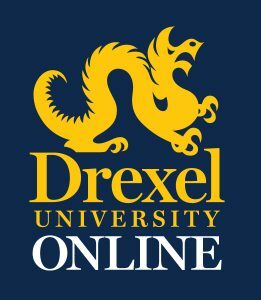 Receive up to 40% off the regular on-campus tuition rates for online programs at one of “America’s Best Colleges.” For more information click here to see the Drexel-DSBA Partner Page. The Delaware State Bar Association’s Continuing Legal Education (CLE) program program offers an extensive selection of seminars, workshops and classes throughout the year. Offered both live and by video (both online and at the Bar Association offices), this program meets our members where they are — sitting in the office, traveling for business or pleasure, or working from home. Led by local practitioners and scholars, as well as invited guest speakers, the seminars contain content highlighting various levels of expertise to reach new as well as experienced lawyers. The program covers numerous areas of law and is geared toward helping Delaware lawyers to educate themselves regarding fast-changing legal developments and to fulfill their mandatory Continuing Legal Education requirements. For more information, click here to visit the CLE page, look for the Association’s CLE brochures in your e-mail, the CLE announcements in the Bar Journal, or contact Susan Simmons, Director of Continuing Legal Education. As the practice of law becomes more specialized, and life in the legal profession becomes increasingly more complex, the Association offers its members the opportunity to increase their expertise and expand their professional contacts through membership in its many sections and committees. Membership in sections allows lawyers to meet colleagues who share their interest in a special field of law, to receive section publications and to receive advance notification of proposed legislation. Membership in committees provides an opportunity for leadership in service to the Association, to the legal community and to the public in numerous areas. For more information on Sections, visit Sections of the Bar or contact LaTonya Tucker, Director of Bar Services and Membership. For more information on Committees, visit Standing Committees or contact Mark Vavala, Executive Director. The Delaware State Bar Association provides several publications to its members at no cost to them. Click here for more information. The Delaware State Bar Association provides several publications to its members at no cost to them. For example, members receive a complementary subscription to The Journal of The Delaware State Bar Association. This publication combines important information and updates provided by the courts, announcements of upcoming seminars, conferences, luncheon speakers and social events, articles of general interest and information on new products and services. Subscription cost for non-members is $60.00 per year. Non-members may click here for an order form. Members also receive a subscription to the Delaware Law Review, published semi-annually by the Association. 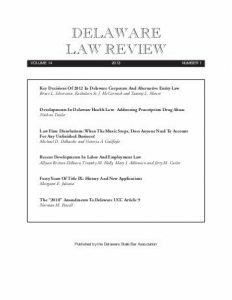 The Law Review is devoted to the publication of scholarly articles on legal issues, focusing particularly on Delaware law. Subscription cost to non-members is $40.00 per year. Also available at no cost to members is one copy of the Delaware Legal Directory. Updated every year, the directory includes the names and business addresses of all lawyers who are licensed to practice law in Delaware. It also includes addresses and telephone numbers of all judges, court administrators, law-related services, certain government offices and more. Members of the Association may obtain additional copies for $40.00 each. Non-members may purchase directories for $99.00 each. Click here for more information and the order form. 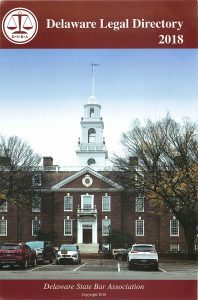 Delaware State Bar Insurance Services, Inc. (DSBIS), a wholly owned subsidiary of the Delaware State Bar Association, is an insurance agency formed to meet the business, professional, and personal needs of DSBA members. Click here for more information. The Delaware Lawyers Assistance Program (De-LAP) was created to assist judges and lawyers confidentially with substance abuse/dependence and/or mental and physical health problems. Click here for more information. An attorney with a personal or medical problem may, in some cases, need specific assistance to meet law practice demands during a difficult time. A new lawyer may be faced with problems he/she is not able to solve. A seasoned lawyer has moved from a large firm setting to a small office or opens a solo practice and he/she needs mentoring or guidance. These are examples as to how the Committee on Professional Guidance can help. The Committee on Professional Guidance provides peer counseling and support to lawyers overburdened by personal or practice-related problems. It offers help to lawyers who, during difficult times, may need assistance in meeting law practice demands. 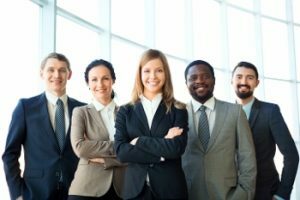 The members of this Committee, individually or as a team, will help with the time and energy needed to keep a law practice operating smoothly and to protect clients. The Committee on Professional Guidance, along with The Lawyers Assistance Committee, work under confidentiality. See RPC 8.3. Call a Committee member if you or someone you know needs assistance, click here to go to the Professional Guidance Committee page, or call the Committee Chairs: in New Castle County: Karen Jacobs Louden (302) 351-9227; Kent County: I. Barry Guerke, (302) 678-3262; or Sussex County: Dennis L. Schrader (302) 856-0015. For more information call Carol Waldhauser, De-LAP Executive Director, at (302) 777-0124 or 1-877-24DELAP. You can also visit www.de-lap.org. Complete confidentiality is maintained. Established to confidentially help judges and lawyers who experience problems with substance abuse/dependence and/or mental and physical health issues that interfere with their personal lives or their ability to serve as lawyers, the Delaware Lawyers Assistance Committee offers confidential, free, non-disciplinary assistance. Similarly, all referrals are confidential. 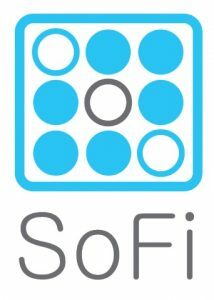 A leader in student loan refinancing, Sofi has partnered with DSBA to offer its members the opportunity to ease their student loan debt. SoFi consolidates and refinances federal and private student loans to offer customized rates, creating meaningful savings. For more information, and to qualify for a $300 welcome bonus through this partnership, Please click here (member login required). 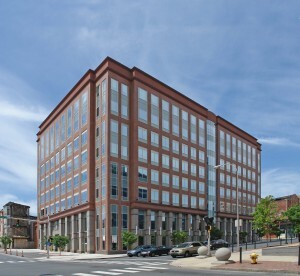 The Delaware State Bar Association is located in the Renaissance Centre at 405 North King Street, Suite 100, Wilmington, DE 19801. The facility includes, in addition to administrative offices, conference rooms and a large Education Center to serve Association members. The conference rooms are made available to sections, committees and members of the Association for law-related meetings. The Education Center can host up to 150 people. To reserve a meeting room or for more information, contact our receptionist at (302) 658-5279 or send an email to Reception@dsba.org.